Garnet color. 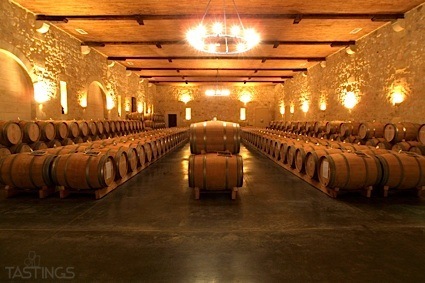 Spicy aromas of anise candies, cinnamon hot cocoa, cherry relish, and fruit punch and dill with a slightly chewy, lively, dry-yet-fruity medium-full body and a subtle, medium-length dried cherry, chocolate soft serve, serrano ham, and plump raisin finish with well-integrated, earthy tannins and moderate oak flavor. A layered and satisfying malbec. Bottom Line: A layered and satisfying malbec. 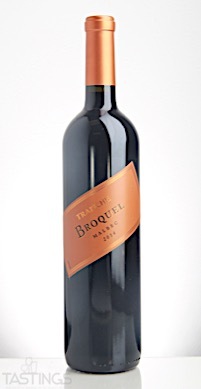 Trapiche 2014 Broquel, Malbec, Mendoza rating was calculated by tastings.com to be 91 points out of 100 on 8/9/2017. Please note that MSRP may have changed since the date of our review.